According to mythology, the phoenix is a bird that has the ability to come back to life and rise from the ashes. It’s an apt name for Klaas Kersting’s new studio. 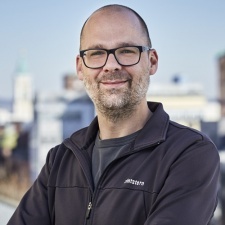 He’s led companies such as Gameforge, which grew to 500 employees, and then Flaregames, which published titles such as Nonstop Knight, Royal Revolt 2 and Zombie Gunship Survival. Last year Kersting stepped down as Flaregames boss under a cloud - the developer-come-publisher had a significant restructuring of its operations that led to 45 people losing their jobs. “We’re operating in a hit-driven business and while we’ve enjoyed success with recent high-profile launches, it hasn’t been at a scale to sustain the long-term future of the company in its current state,” he said, adding the key changes were made to ensure Flaregames’ long-term future. This restructuring included promoting head of studio Todd English to CEO, and the company has since announced games such as Monsters with Attitude. Kersting has now opened his next business, Phoenix Games, which also includes a couple former Flaregames staff. It had been suggested last year that Kersting’s new venture would be Flaregames-related. “In all honesty, the boundaries weren’t so clear back then; I was transitioning from Flaregames, and the Phoenix Games team was comprised of ex-Flaregames members, so we didn’t always make that separation clear enough,” explains Kersting. We initially envisaged Phoenix Games as something emerging from within Flaregames, but we’ve since realised the importance of that clear distinction between the two. Kersting says he ultimately departed the firm because there was no reason for Flaregames to “change their fundamental role in the industry as a mobile games publisher”, and considered his own skills would be better served in a different role elsewhere. The aim with Phoenix Games is to create a network of international games developers and service providers under one banner, with the theory that they’ll be stronger together in today’s tough mobile games market. “There are a lot of great games companies in the world, and the vast majority are not well-funded behemoths; they are smaller teams with talent and potential to spare, but the same cannot be said of their resources and backing,” says Kersting. “I’ve developed an eye for investments over the years, and I’ve experienced the challenges of scaling a games company, but over and over again I see the same issue: teams so caught up in the day-to-day demands of a hit-driven industry, constantly reinvesting profits to survive, that they feel powerless to access capital and scale. In order to create this network, Phoenix is eyeing up a number of acquisitions. The core team at Phoenix Games is a group of “experienced people with senior level skills, unlikely to grow substantially”. Its responsibility is identifying companies to partner with and then help each team support each other. Kersting believes that by being part of a larger group, there’s less direct financial pressure on each studio, affording them more time for development. “On top of this, we want to establish a structure whereby the founders of participating companies can collaborate on overarching group strategy - not to mention exchanging knowledge and best practices,” explains Kersting. Phoenix Games is eyeing up potential acquisitions the world over, with preferences leaning towards companies that own original IP and focus on free-to-play mobile games - though Kersting stresses the latter is not set in stone. There’s also an expressed interest to hear from founder-driven companies. While acquiring games studios remains its priority, partnering with service providers is also on the agenda to help support development across the group. “Obviously, the significance of these service providers will only increase as we add more developers for them to work with into the ecosystem,” states Kersting. Phoenix Games isn’t the first company to set up a network of developers that, while focusing on their own projects, can share knowledge and skills across the group. One similar example of that is the Stillfront Group, which houses the likes of Goodgame Studios, Babil Games, eRepublik Labs and Imperia Online, to name a few. Two companies aligning for a single project is rarely a recipe for sustained success, and a first-party approach is superior in this sense. But it’s somewhat of a step away from the Flaregames strategy. While it had acquired studios it had partnerships with, such as Nonstop Knight developer Kopla Games, it also invested in third-party publishing. Kersting claims that Flaregames had its fair share of success in third-party publishing, and still believes there are opportunities in that space, but that it’s “such a difficult market”. “There’s a cyclical pattern of consolidation with every new platform, and we’re at the stage now with mobile where it’s more competitive and expensive than ever,” he explains. So the ambition now with Phoenix Games is to try and create a more stable ecosystem for developers to work within. It’ll still need to be hit-driven of course, just like the rest of the mobile games industry, but Kersting feels the new group can lift the barriers holding back small-to-medium sizes businesses from scaling - such as location and the profile of a company’s founders. “There’s also the demand for constant and repeated success, an issue best summed up by a developer we spoke to,” says Kersting. “They described their situation as being akin to that of someone sitting on a goldmine, using a shovel to dig for gold. They know, however, that this shovel won’t last forever and so they are hoping to scrabble together enough gold to buy a new one - knowing also that each new shovel is more expensive than the last. Looking for investment in your games business? Check out the Investor Connector at Pocket Gamer Connects Seattle 2019 on May 13th to 14th.